The Seattle Seahawks enter their Week 7 bye week on a bit of a hot streak. Seattle is 3-1 in its last four games, the loss coming to the only undefeated team left in the NFL—the LA Rams. It must have been a nice flight back from London after destroying the Oakland Raiders to get to .500 on the year. This is a big win for a team that has six of its next 10 games at home in front of some of the loudest fans in the country. Things could be looking up for Seattle. Let’s jump into some other bye week thoughts. Are the Seahawks hitting their stride? Seattle looked pretty bad for long stretches of its first few games. It was easy to write off the Seahawks, especially after all the turnover on both sides of the ball. Yet the Seahawks are now sitting at 3-3 and in a good position to chase a wild card spot, because catching the Rams might be impossible at this point. The schedule is going to get difficult too. The Detroit Lions are the only non-division opponent who is below .500, and they beat the Patriots this year. The Green Bay Packers, Los Angeles Chargers, Kansas City Chiefs, Carolina Panthers and Minnesota Vikings are all going to be tough games to win, so Seattle needs to go into them with some momentum. A win in Detroit in two weeks would go a long way to getting the Seahawks to the playoffs. How good of an offense is it? The Seahawks seem to have found their run game, and they are really leaning on it. Chris Carson, Mike Davis and Rashaad Penny all have more than 130 rushing yards this season already. Russell Wilson is on pace for more than 30 passing touchdowns this year too. The team has turned the ball over a mere handful of times and it doesn’t look like turnovers will be a problem this year. Seattle is averaging less than 200 yards passing per game right now because of how effective the run game has been. Do not misunderstand this, though: The Seahawks are a good passing team. Wilson and the receivers make a lot of plays; they just don’t have huge numbers because the ground game is eating up big chunks of yards. Seattle is 28th in total yards and 18th in scoring, so you can see the team can get points but not necessarily yards. This is thanks in large part to its top-10 rushing offense. Tyler Lockett already has five touchdown catches this year on only 23 catches; that’s a touchdown almost every five catches. The offensive line has improved dramatically as well. According to Pro Football Focus, during weeks 3-6, Seattle had the best pass blocking line in the league. And to top it off, the Seahawks have the second-best power run blocking line in the NFL too, said PFF. It is exciting to think of what a healthy Doug Baldwin can bring to the passing game with his return. Can the defense get more consistent? The Seahawks defense has been very good overall but has had some bad mixed in so far. This is a team that is down three former All Pros in the secondary. Growing pains were expected with three first- and second- year players starting in the defensive backfield, but the pass defense has not been the problem for most of the season. The biggest problem is the run defense. Seattle is giving up more than 120 yards per game on the ground. The Seahawks have had three games allowing fewer than 100 yards rushing and three games allowing more than 140 yards on the ground. Sometimes it seems like they have bad tackling games and that leads to more yards. That is something Seattle can definitely work on for the rest of the year. And while they are doing that they can lean on their tremendous pass defense this year. They are forcing a lot of turnovers in the passing game whether it’s interceptions or strip sacks right now. 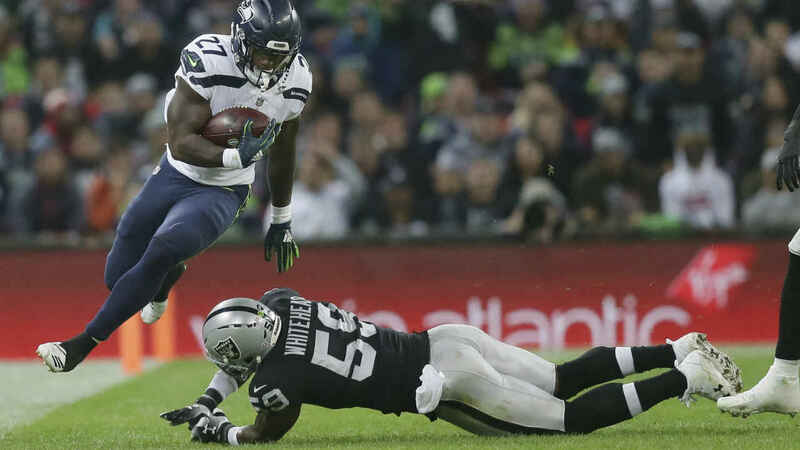 As a unit, Seattle is third in total defense and pass defense and it is holding opponents to 19.5 points per game, which is good for fifth in the NFL. There are not as many familiar faces on this defense as there have been in the past, but this unit is motivated, talented and it is producing at a high level right now. This unit will get better as the year goes on; it has already shown improvement over its uninspiring first two games. And expect the defense to get even better when K.J. Wright makes his debut after offseason knee surgery.